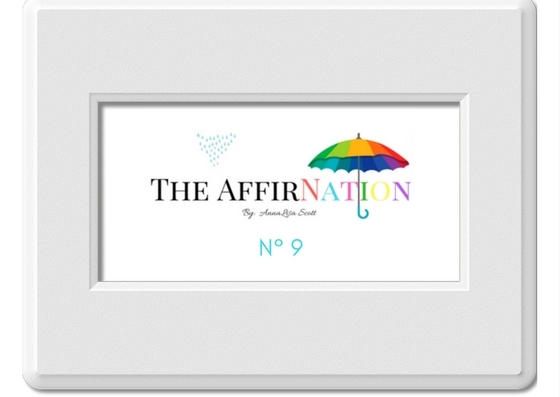 The AffirNation is a community I have created to inspire and encourage you all to bring the power of positive thinking into your lives by using affirmations in an organized, consistent manner. 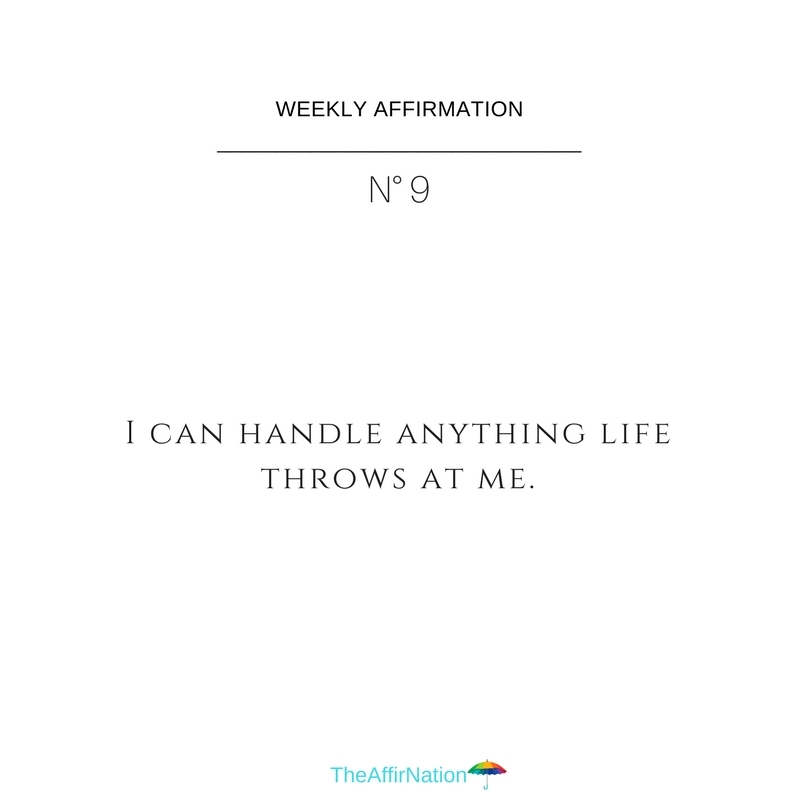 Every week I will be sharing a new affirmation on social media and discussing it here in a post at The Worry Games. For more details, click here. True anxiety recovery relies on your having faith in the fact that you can handle whatever comes your way, whenever it happens. This attitude is a scary thing for a lot of us to take on because most of us on some level, grow up believing quite the opposite. Quite often our fears are more about how we think we will handle a situation, rather than the actual situation itself. We tend to feel vulnerable and weak inside, despite the fact that we are actually very strong, and we are big reactors and feel everything much more than the average person does. Both of these personality traits contribute to feelings of inadequacy and inability to cope with life…the big stuff as well as the small stuff. But the truth is you CAN handle anything. You can handle the absolute worst of the worst and you can come through it okay. Sensitivity does NOT equal weakness, and vulnerable does not mean fragile. We are just as strong as anybody else. Can I guarantee that there will never be pain or trauma in your life? No. None of us get a guarantee that nothing terrible will happen in our lives. However that doesn’t mean that you can’t promise yourself that no matter what happens, somehow, some way you will find a way through it with the help of friends, family and professional help if necessary. You can promise yourself that you won’t give up until you find some way to heal and cope. Never tell yourself “I can’t do that.” Never tell yourself “If that were to happen, I would fall apart”. I don’t care what the situation is. Never ever say to yourself,” If that were to happen to me, I would just die, right then and there.” Make sure that you plant seeds of resilience and strength in your subconscious NOW, so that if something really bad, or even just somewhat stressful happens in your life down the road, you will have a strong foundation to help you cope with it with as few long-lasting anxiety symptoms as possible. We have to prepare for life’s bad weather, readers, and one way we do that is by telling ourselves “I can handle anything life throws at me. “, over and over again. The more we say it, the more we believe it and that belief comes in really handy when we are facing a big storm. 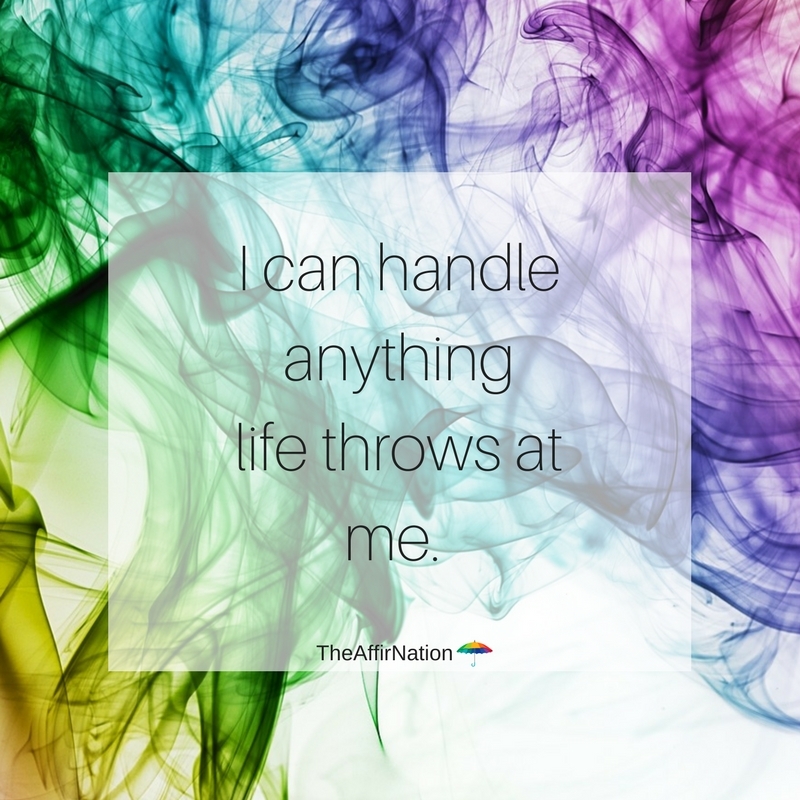 I can handle anything life throws at me. Never talk yourself down, only build yourself up. All it takes for you to be able to handle any situation is for you to believe that you can handle any situation. Note: Anybody who is living with the psychological effects of severe stress or trauma should seek professional help. Don’t give up until you get the support you need. Visit MyPTSD.com for support.